Pixel-packed performer. Last year’s Yoga 13 was one of the most popular Ultrabooks yet, and for good reason: while it wasn’t perfect, it was smartly-designed, with a unique (and sturdy) build and good performance for its price point. One year later, can Lenovo’s successor carry the torch? Seriously, if you’re thinking about this machine, go to a store that has one, open up Notepad, and try typing a few paragraphs. If the keyboard doesn’t bother you, chances are you’ll fall in love with the rest of the machine, but if it does, we can say it’s something that does grow on you in time, but we’d still prefer to see a better version in a subsequent release. Perhaps in the next Yoga Pro, we’ll see Lenovo nail the formula altogether. I've been using the Lenovo Yoga 2 Pro for months now, replacing my MBA as my travel device. But what I didn't see coming was it becoming my daily driver. I use the Yoga 2 Pro as my everything machine, from writing news every day for TweakTown to writing reviews, watching YouTube videos, TV episodes (through the micro HDMI output, or even on the Y2P itself), and playing games with my daughter. A stunning, slim design paired with great build quality gets this machine off to a good start, and the Yoga impresses further with great ergonomics and decent performance. The high-resolution screen has its pros and cons, though, and battery life could be better. It’s an excellent laptop but remains unwieldy as a tablet, so we’d think hard about whether you need that functionality before buying this ahead of market-leading Ultrabooks. There are only a couple of things we don't like about the Lenovo IdeaPad Yoga 2 Pro (mainly its Wi-Fi module and the touchpad driver), but overall it's a fantastic product that's fun to use. We had no problems using as a laptop, a tablet, and as a display device. Well worth considering if you're after a hybrid Ultrabook and can afford the 2K price. In some respects the Yoga 2 is a real bargain, as it provides good screen quality, battery life and lightweight design at a very competitive price. Performance is below-par, although it will still handle routine web browsing, streaming video and wordprocessing perfectly well. And, with its lightweight, convertible design, it's a far more attractive device than the big, heavy 15-inch laptops that most manufacturers offer as their low-cost option. For an Ultrabook I really do not see much missing from the Yoga 2 Pro. Some may complain about only two USB ports, but that seems adequate. I currently use both, one for my portable hard drive and the other to charge my iPhone. The SD card reader definitely helps as that is what I would have needed another USB port for. All in all the Yoga 2 Pro is pretty much a perfect refresh to the original Yoga. There honestly is nothing I can really say bad about it. The model we reviewed sells for around $999.99, but there are other models available as well. 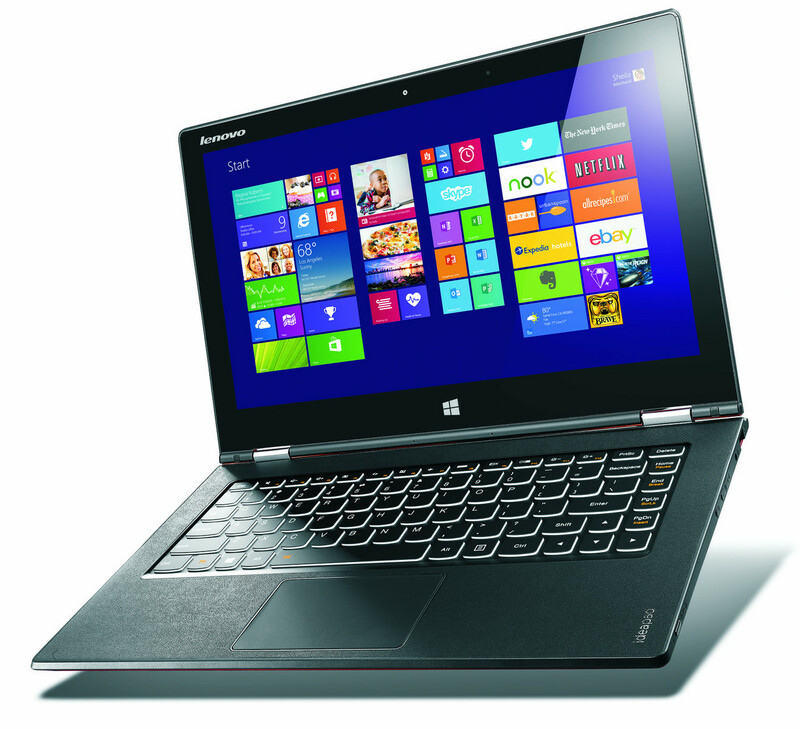 Overall ThinkComputers gives the Lenovo Yoga 2 Pro Ultrabook a 10 out of 10 score and our Editor’s Choice Award! Like its predecessor, the Lenovo IdeaPad Yoga 2 Pro isn’t perfect, but its novel hinge and impressive display certainly go a long way to make up for its flaws. At just under £1,000, it’s also roughly £250 less than other 3,200x1,800 resolution laptops such as the Samsung Ativ Book 9 Plus. The Yoga 2 Pro’s price also gives it a huge edge over other, similarly priced Ultrabooks with lower 1,920x1,080 resolutions. If you want a fun two-in-one device with a gorgeously detailed screen, the Yoga 2 Pro is the convertible laptop for you. It wasn’t until we really got down to reviewing and testing the Lenovo Yoga 2 Pro that we realized how good it actually was. This Core i7 version has some really impressive performance yes, but the the 360-degree screen on any Yoga 2 Pro allows interesting extended usage modes. But, and we think this is really important, it’s also a notebook that can be taken out of the box and used without any fuss at all. It performs perfectly. It’s quiet and has great battery life and from the style and build point-of-view it’s also really impressive. Our one reservation is with the screen which although it’s incredibly sharp causes some desktop software to become difficult to use at full resolution. The color cast issue could be an issue to some types of users and unfortunately that would include creative and media types that might be interested in the Yoga 2 Pro. A big red flag goes up to anyone needing 5Ghz Wi-Fi support because, strangely, it’s not available. The IdeaPad Yoga 2 Pro had all the makings of a fantastic hybrid, but the screen has wildly inconsistent image quality and the performance takes an enormous hit once you use it as a tablet. Lenovo could still set things right with a better screen profile and a less bridled processor. For the enterprise customer, the Yoga 2 Pro might be a great fit. Impromptu presentations become easier as the device flips into Tent orientation. Stand mode makes it easier to use while on a plane or train (or on the couch), and you’ll still enjoy all that Windows has to offer in any position you can bend it into. For the consumer, it’s an interesting niche device, but one that makes a few too many compromises for our liking. On a technical level, Lenovo's Yoga 2 Pro is probably the best $1000 Windows laptop you can buy right now. The hardware you get for the same price as the entry-level 11-inch MacBook Air is better than what you'd get for that price from any other PC maker, Apple included: a 13-inch 3200x1800 IPS touchscreen, 128GB SSD, 4GB of RAM, and Haswell-based Intel Core i5-4200U processor with integrated HD 4400 graphics. And all of that packed into a 3-pound chassis that's thinner and more refined than last year's Yoga, fully-articulating hinge included. Although Lenovo’s included applications add some utility to the Yoga 2 Pro, we can’t see ourselves using some of them very often. That said, they’re not doing much harm either, and Lenovo’s additions are similar in quality and utility to other mobile systems we’ve reviewed over the years. The Lenovo IdeaPad Yoga 2 Pro is a quality device, but it may not be the best convertible notebook. The big issue for the Yoga 2 Pro is its added weight in Tablet mode. While 3lbs. is incredibly lightweight for a notebook, it's bulky for a tablet. Instead the 2lbs. Microsoft Surface Pro 2, which can detach form its keyboard dock is better choice for users, who want a true convertible hybrid. The Yoga 2 is a great laptop/tablet combo. Overall, it's one of the best I've seen at any price and quite usable in either role. Just don't expect the usual stellar Lenovo typing experience. I also wish Lenovo would do some future-proofing by offering an integrated 802.11ac adapter. This is a great laptop. If you were to take the Yoga 2 Pro back in time 3 years and show it to anyone—including a TechRadar editor—they would have been ecstatic. This kind of performance and a 3200 x 1800 screen with over three hours of battery life was literally impossible on a Windows-based portable in 2010. Some of Lenovo's pre-loaded software borders on bloat, and we struggled to find more than handful of uses for half of the Yoga's operating modes. It's also a shame that the battery life is so low, for Haswell as least, but you are getting that gorgeous display as a trade off. For what you're paying, you're getting your money's worth. The Lenovo IdeaPad Yoga 2 Pro is summed up by the terms innovative hinge and brilliant screen. If those are what you are looking for, then by all means grab one and extensively try it out. That said, the current Editors' Choice Samsung Ativ Book 9 Plus is a better touch-screen ultrabook overall with a similar brilliant QHD+ screen. The Yoga 2 Pro is innovative because of its flexible usage scenarios, but its overall weight and bulkiness keeps it from getting our highest recommendation. If you can't quite give up the clamshell form factor, the Yoga 2 Pro is well worth trying out, but please hold on to your receipt if you're expecting an Apple iPad-like$499.00 at Target.com experience from the Yoga 2 Pro's Tablet mode. The second generation of Lenovo's convertible ultrabook delivers an improved touch experience, strong performance, stunning 3,200x1,800 display, and outstanding battery life. If you want a laptop first, a tablet second, and a couple of other modes in between, the Yoga 2 Pro won't disappoint. 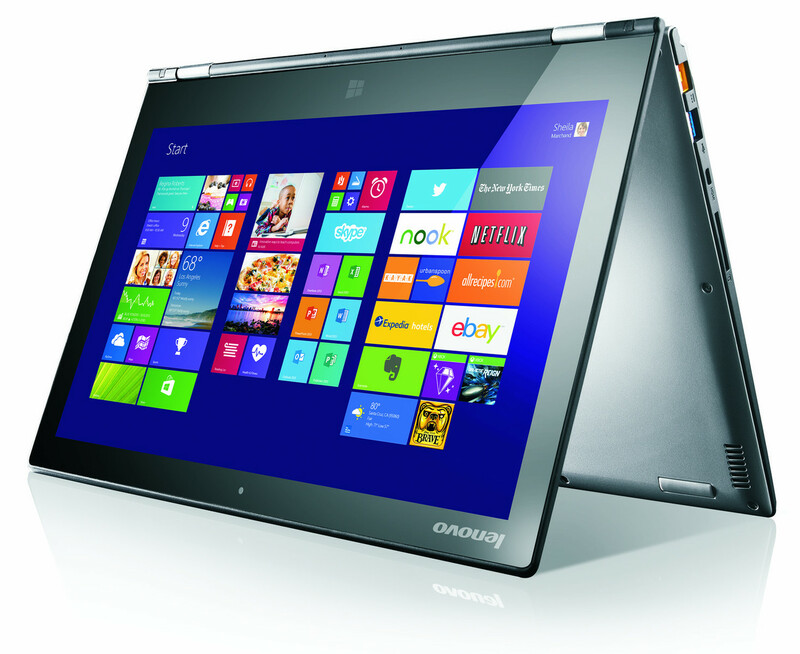 Lenovo took their original Yoga convertible design and made a huge number of improvements to it. The system is not only thinner and lighter than the original but packs an incredibly details display that is a thing to behold. The best part is that it is one of the most affordable convertible ultrabooks on the market. Sadly, the design is far from perfect as there are a number of compromises that were made likley to keep the prices down. The Yoga 2 Pro packs a high-resolution display which is simply be overkill for those running basic productivity software and is suitable for those using video and photo editing tools. The weight of the Yoga 2 Pro, and the size of its screen also mean that its tablet mode is only partially successful. While the Yoga 2 Pro offers a very good laptop / tablet combination, it ultimately makes an excellent laptop more so than a tablet. This is down to two things – the first with Windows not being the most pretty to use in Portrait mode, and the second being that it’s still a bit weird to feel the keys at the back of the device when it’s folded into tablet mode. However, these are far from deal breakers, and at the end of the day the Yoga 2 Pro is probably one of the best Ultrabooks I’ve seen this year. Its beautiful design combined with decent hardware make it an excellent choice for anyone looking for a superior yet affordable Ultrabook. There’s no question that the Yoga 2 Pro is a triumph. It’s lighter, stronger, prettier and all-round better than before. And, somehow, Lenovo has managed to deliver all this for only £1,000. We have to be realistic: the high-DPI display is more of a limitation than a benefit at this time, but at this price, we’d be more than willing to put up with the occasional annoyance. It’s a remarkable achievement. The Yoga 2 Pro addresses many of our complaints about the original: The display is sharper and the overall package has been slimmed down so that it's noticeably thinner and lighter. At the same time, the Yoga 2 Pro is still the most versatile Windows convertible we know of. It's also well-built, with a sturdy hinge and build materials that dutifully hide all your grimy fingerprints. The only other thing we could recommend for a follow-up Yoga is adding one more USB port considering having only two tends to keep your options of what to connect to them pretty slim. The Yoga 2 Pro is a great addition to Lenovo’s line of ultrabooks that has us excited to see what the company does next with the line. As long as they continue to churn out more ultrabooks like the Yoga 2 Pro, and less like the Flex 14, we’ll happily continue to recommend them. While we don’t have any hard sales numbers, we have strong suspicions that Lenovo’s original IdeaPad Yoga was one of the more successful convertibles of the last year, if not one of the more successful PCs, period. With a stunning Retina-besting display, and a slimmer exterior, Lenovo’s Yoga 2 Pro is better in every way than last year’s model, save for battery life. With the IdeaPad Yoga 2 Pro, Lenovo has taken some very welcome steps forward in evolving its winning hybrid. You get a higher-resolution IPS display that's sharp and colorful, faster 4th Generation Haswell processor and backlit keyboard, in a thinner and lighter design. We also love the high-quality audio. The all-around best-in-class example of a first-generation Windows 8 hybrid was the Lenovo IdeaPad Yoga, a clever fold-back laptop-turned-tablet that was almost universally liked in both its 13-inch and 11-inch versions. A major update to our favorite Windows 8 hybrid, the IdeaPad Yoga 2 Pro is still a better laptop than tablet, but the new version adds a future-proof better-than-HD display at a great price. The Yoga 2 Pro still has the same cleverly hinged design allowing the screen to rotate almost a full 360 degrees. This means it can transform into four modes which Lenovo call laptop, tent, stand and tablet. Once again the device has a premium and luxurious feel and it's been made thinner and lighter than its predecessor. It’s now just under 1.4 kg and a slender 15.5 mm thick. The Yoga 2 Pro can be summed up as sleek. 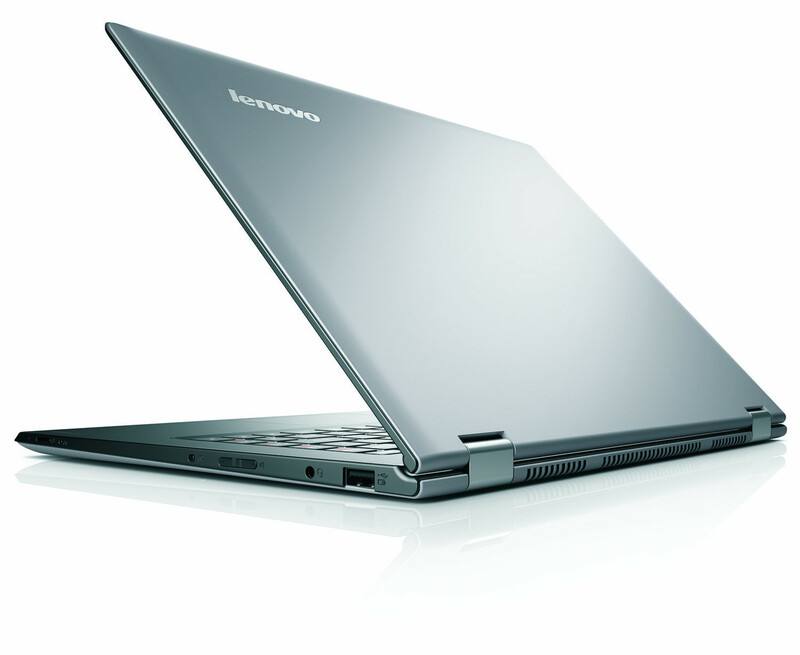 The Lenovo Yoga was a flip in the right direction for Ultrabooks when it was first released. But it offered in style points - the ability to bend the laptop to your viewing preference - it didn't really match in spec appeal. Having an Ivy Bridge processor inside and given a rather low-res 1,600 x 900 display means you are never going to win any awards in the power stakes. As an all in one device this is one of the most flexible we've seen. Not only has Lenovo crammed a stunning screen and powerful specs into a body 10 per cent slimmer than the last model - but it's done it with thought. Gesture and voice controls are the next logical step for a device that acts as a screen on a stand. We'd bend over backwards to get one of these. Positive: Good amount of RAM; powerful processor; great quality of the display; good autonomy. Negative: Only 2.4GHz Intel Wireless-N support; no 3G neither 4G. Positive: High (as in low-voltage CPU) performance; good appearance; quiet and efficient cooling system; long battery life; excellent keyboard; bright, crisp display. Negative: Only 2 USB ports; low contrast display. 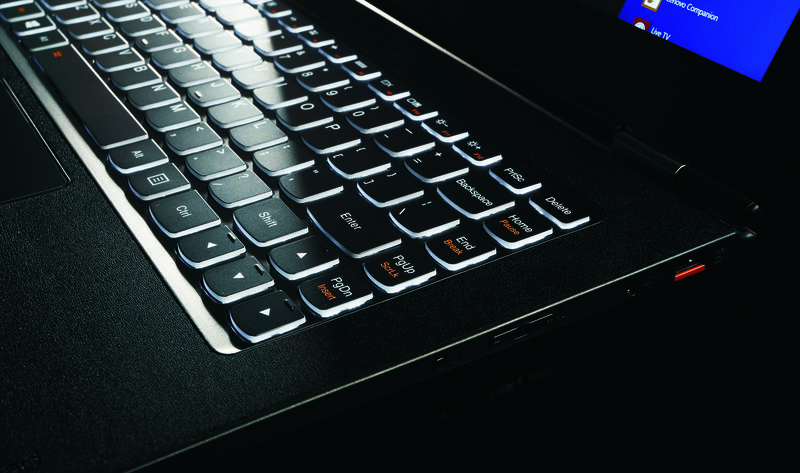 Positive: Incredibly high resolution screen; extremely comfortable keyboard; extremely durable and practical design. Negative: Expensive. Positive: Ultra-high resolution display; great build, moderate weight and cell size; aluminum body and excellent performance. Negative: Mediocre brightness and contrast of the display; limited connectivity. Positive: Light; sleek, slim case; long battery life. Negative: The high resolution sometimes trouble in Windows. 83% Lenovo Yoga 2 Pro Kanskje den aller beste hybriden akkurat nå. The Lenovo IdeaPad Yoga 2 Pro is a refresh of the Lenovo Yoga tablets, providing even better specifications at an affordable price. The 13.3 inch display has an astounding pixel resolution of 3200 by 1800 pixels, which is one of the highest resolutions for this screen size. The hardware specifications are also decent. It comes with an Intel Core i5, 4 GB of RAM and a 128 GB SSD to give good overall performance. Sadly, there is only one USB 3.0 port and one USB 2.0 port and an older WiFi module. There is no Ethernet port for wired connectivity or VGA port for older projectors. The only video output is an micro-HDMI port. The battery life of the Lenovo IdeaPad Yoga 2 Pro is also improved to last roughly about 7 hours and 10 minutes with moderate load. The keyboard is rather similar to the older Yoga tablet series, because the previous design was already sturdy and functional. The large trackpad leaves something to be desired but is good enough. In short, the Lenovo IdeaPad Yoga 2 Pro is a decent upgrade from older Yoga tablets. It provides very good functionality at an affordable price. The Thinkpad Yoga is a series of ultrabooks manufactured by Lenovo. The Yoga Series was launched during 2012, and its successor, the ThinkPad Yoga 2, was released in the 4th quarter of 2014. Yoga laptops are made to be as light, thin and portable as possible, targeting the young and tech savvy consumers. The Thinkpad Yoga stands out due to its unique feature of being able to fold flexibly up to 360 degrees to switch to a tablet mode. The Yoga Series started out in the end of 2012, with the Yoga 11 and Yoga 13 models, which are 11 and 13 inch respectively. Yoga 2 Pro was the second generation to be released end of 2013, a 13.3 inch model that is significantly lighter than the Yoga 13. The latest model to be released in the series is the Yoga 3 Pro, released recently at the end of 2014. This new model is even thinner and lighter than all its predecessors while maintaining the 13.3 inch size, although due to a more powerful processor the battery life is slightly reduced to just under 6 hours. Besides the ultrabooks, there are also the IdeaPad Yoga Tablets, which come in 8 inch and 10 inch models as well. 81.9%: This rating should be considered to be average. This is because the proportion of notebooks which have a higher rating is approximately equal to the proportion which have a lower rating.